The Hunny Nurseries are great believers that you are your child’s primary educators that build strong foundations to their learning and development. 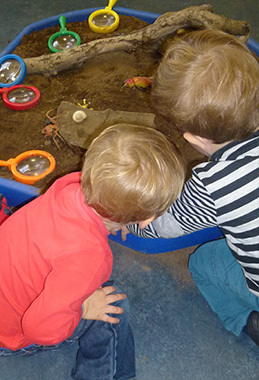 We aim to build and forge strong links with our partnerships with you and your family and provide as many opportunities as possible towards your child’s development. This can be within the nursery or outside in our community. All about me forms are given to parents on induction and termly so that you can contribute to your child’s learning and development. We can then plan for their interests and the environment surrounding them. Parent’s evenings – All parents/legal guardians are invited into the setting once a year to discuss their child’s development with their key person. Throughout the year parents are welcome to come into the setting and speak about any concerns or to celebrate their child’s development. Tree of knowledge- This is to share special moments at home that parents want us to celebrate. Craft events- Are events for all children, their families and friends who can come along and join in with the fun. They are often linked to celebrations and festivals. We also have our own facebook page which we update on a daily basis with any important information that we need to let you know. It is also a way for you to communicate with us if you have any questions and you can see what we have been up to.